It is common to grind or clench your teeth occasionally. But some people – perhaps as many as 30% of us – grind so incessantly and with such force that their dental health is affected. 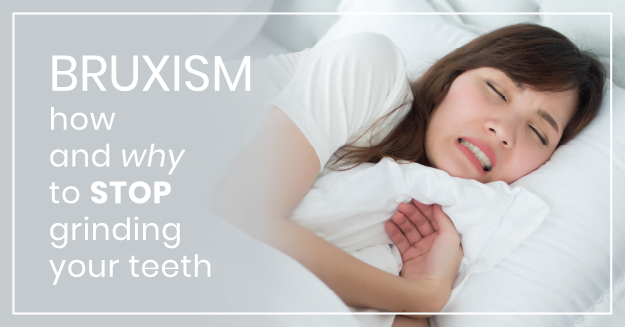 Though tooth-grinding – “bruxism” in dental terminology – typically relates to stress or anxiety, it could also be a result of incorrect tooth alignment. For that reason, you may want to bring it up with your dentist or orthodontist at your next visit. 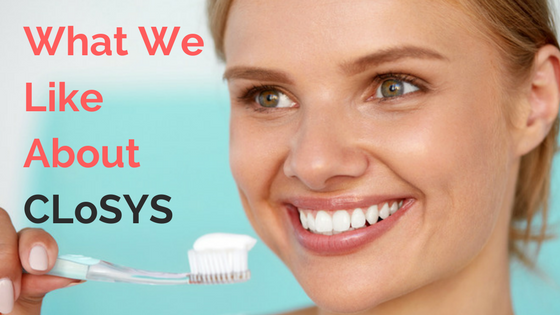 Our office has been using CloSYS brand toothpastes and mouthwashes for more than 10 years, and we are convinced they are the best products of this type available. We confidently recommend them to our patients and give them mini-samples to take home after their dental treatment. The CloSYS line, created by a periodontist, is limited to five products: two oral rinses, including one for people over 55; two toothpastes, with and without fluoride; and a mouth spray. The company’s website, www.closys.com, explains nearly everything you need to know about these products, and our experience is that the information can be trusted. Dr. Lamberton and his entire office are THE BEST. They have made all of the unpleasant situations that come along with having bad teeth genetics much more tolerable. They are so attentive, caring, professional, and always go above and beyond in explaining all my bills/procedures. Dr. Lamberton does the best work – his attention to detail is fantastic. I wouldn’t trust my smile to anyone other than him!